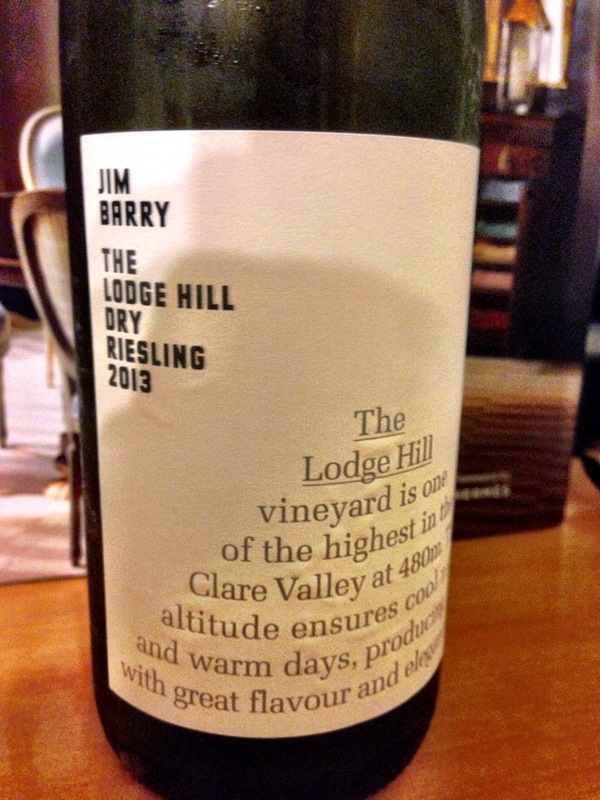 Jim Barry’s “The Lodge Hill” riesling from 2013 is a somewhat bracing affair. It has aromatics of lemon and lemon pith. The palate appears very dry indeed, with high acid and quite tart lemon flavours. There’s some good length though and the overall impression of quality is undeniable. I think that this wine needs at least five years to put on some layers and show more love, but can be enjoyed now by those seeking a firm expression of Clare Valley riesling.